Which of these is the world’s best Margarita? Patrón Tequila is on the hunt for its Margarita of the Year and has recruited a host of leading bartenders to mix up their own innovative twists on the classic cocktail. 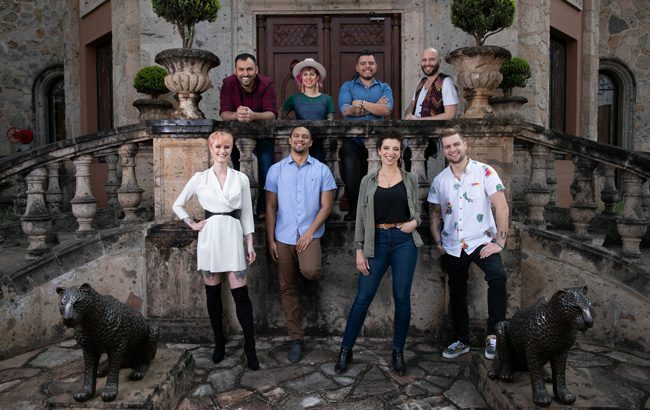 Bacardi-owned Patrón Tequila has partnered with eight bartenders from around the world as it searches for the 2019 Margarita of the Year, challenging each to develop a creative twist on the Tequila-based cocktail. This year’s cocktails include a Chinese-inspired Margarita created by Hong Kong bartender Jay Khan and a cocktail developed to “capture the magic of a New York sunset”. Participants in the 2019 contest include Miami-based Tyler Kitzman, Mexican bartender Adrian Martinez and California-based bartender Samuel Jimenez. The public have been invited to vote for their favourite Margarita in this year’s contest, with the winning cocktail being named at the finale on 25 April at Patrón’s brand home Hacienda Patrón in Jalisco, Mexico. To vote for your favourite visit margaritaoftheyear.com. Click through our gallery to find out how to make the cocktails in the 2019 Patrón Tequila Margarita of the Year competition.